Port Hercules, Monaco – right now the epicentre of everything that matters in the yacht world. A place to congregate: for owners (current and future), charterers, designers and decision-makers, and of course the boats themselves. 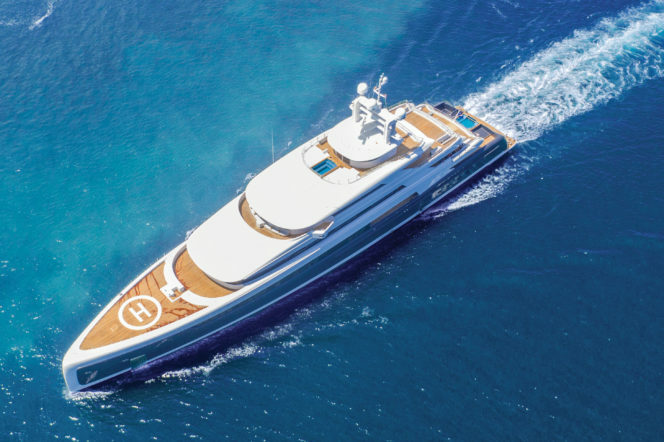 Last week, we brought you the 6 trends to look out for at the Monaco Yacht Show 2018, alongside an entire Yachting Forecast in the September/October issue of Gentleman’s Journal. And now’s the time to get down to business, the business of the boats themselves, as 26th September is almost upon us. With over 125 on display, including 40 new launches, even the most dedicated may struggle to take it all in. 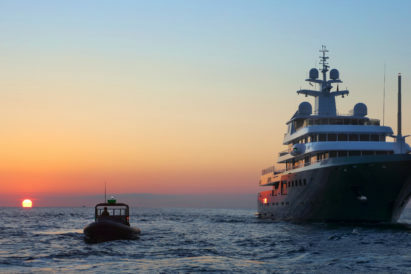 So let the Gentleman’s Journal point you in the way of 8 boats not to miss, from the all-out luxury superyachts to the smaller, speedier superstars. 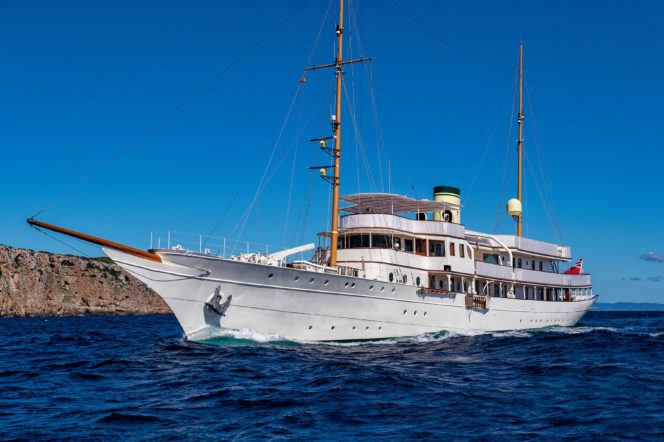 The lowdown: Over 90 years old and still epitomising all that is class on the seas, Haida 1929 has been beautifully restored, to include 3 cinema areas and even a barbershop. 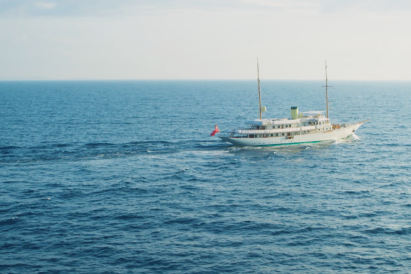 She’s a new kind of timeless, as our GJ produced film proves. Sail back in time with her. The lowdown: Just look at her, and then look again. 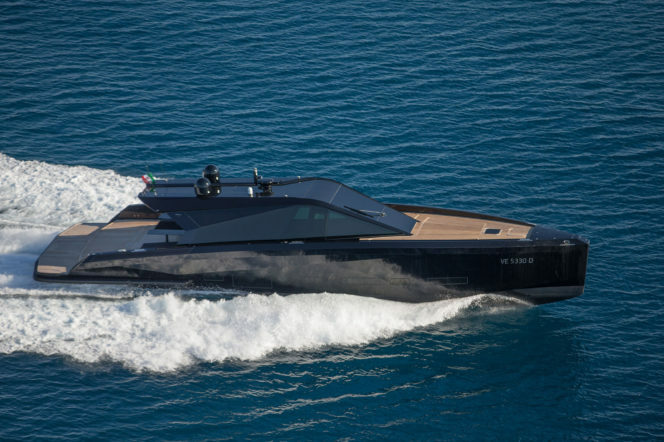 This fully custom built, 51-ton vessel wouldn’t be out of place with Bond or, indeed, a Bond villain at the wheel. 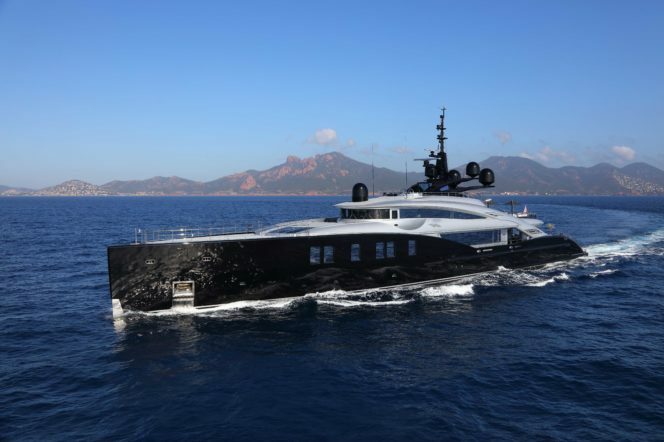 With her Kamewa jets, this stunning Wally Power 75 can reach speeds of up to 42 knots, so be sure to hold onto your hat (or Martini, shaken not stirred)! The lowdown: A craft with masterfully navigates the tricky balancing act of maintaining a low-profile, sleek shape — whilst packing a serious punch once you step inside. 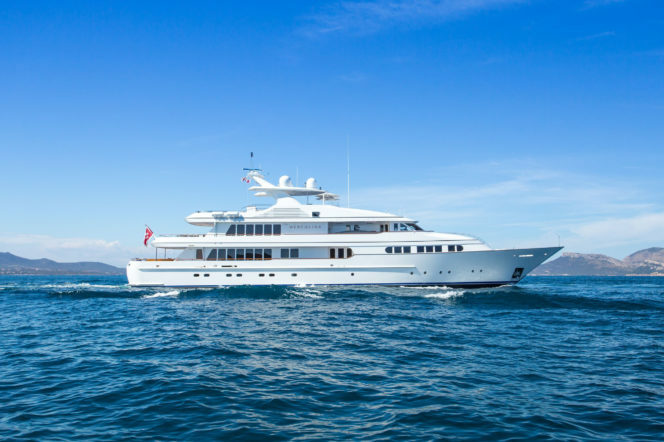 With a staggering amount of space, the extended 27 metre sun deck shades the main dining area which can comfortably seat 18 guests. A swim-jet pool, jacuzzi, cinema screen, and quadruple sunbed with a dining area create the atmosphere of an exclusive beach club. For those looking to get a little adventurous, it’s also equipped with a vast array of water sports equipment including a 10 metre water slide. 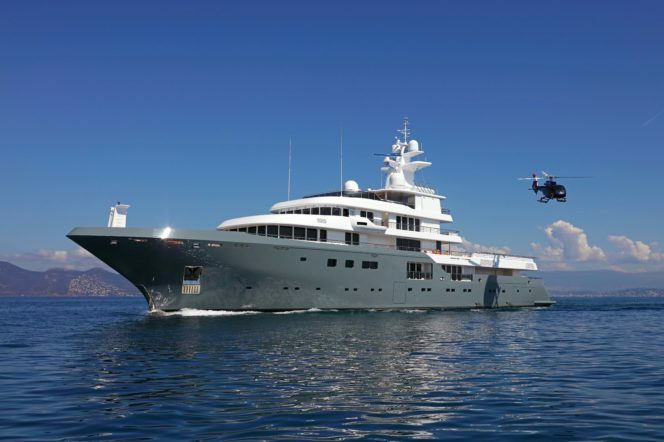 The lowdown: One for explorers, coming fitted with a superb specification including her MD 902 Explorer helicopter, hangar and landing pad. Inside you’ll find a lift connecting all five decks, with the owner enjoying an entire level that creates a private 3000 sq ft apartment. As you walk to one of five double suites, you will pass the steam room and beach club with its spectacular sea terrace. Designed for extreme conditions, this craft is perfect for local exploration or just a lot of fun. 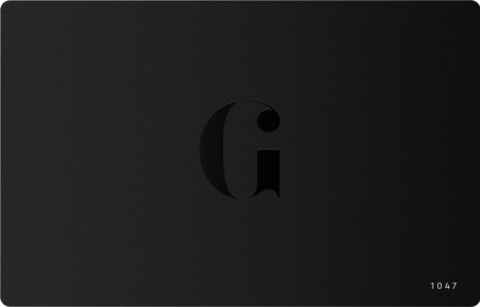 Go inside yourself with our GJ film. The lowdown: Subtle? With four interior lounges, two dining rooms, two jacuzzis (including one with a waterfall), a gym, sauna, steam room, massage area and a four-deck elevator, this offering is anything but. But that’s not all that lies within – Pride also worked closely with Rolls-Royce to create a diesel-electric propulsion system, so Illusion Plus is ultra-efficient and quiet, without compromising on speed. 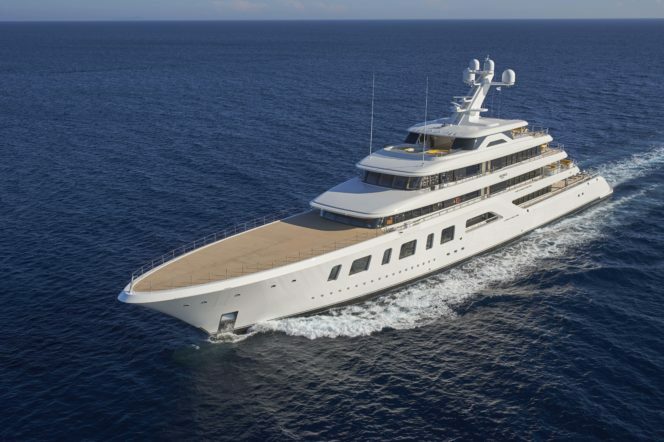 The lowdown: If you’re looking for a yacht to reach the hitherto unexplored areas of the oceans then this is the one you need to check out at this year’s MYS. 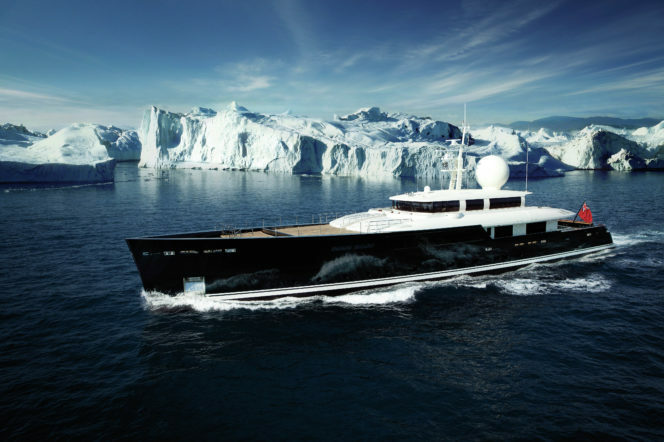 This ice-class Vitruvius expedition yacht comes fully equipped with a full set of tenders including a fully custom 9.5 metre Zodiac Hurricane expedition RIB. The lowdown: We’re not just talking about a breath of fresh sea air; OKTO looks like nothing else on the water. 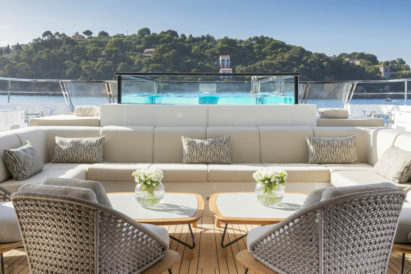 Broker Alex Lees-Buckley tells us a little more about it: “This is built to the highest standards for worldwide cruising, offering accommodation for 11 guests in six cabins with Alberto Pinto decor and striking lines. It’s very attractively priced.” This is a distinctly modern machine; chromium exterior spaces lead into Pinto’s interior of modern, Art Deco-influenced design. It’s a refreshing alternative to the many yacht interiors that are dominated by an overabundance of gold.